A few years ago (9, if memory serves well) a magazine I used to read quipped “Q: What’s the last thing a drummer says before being thrown out of a band? A: ‘Guys, I’ve got an idea! '” It was an article about Taylor Hawkins, when he was getting his side project starting up. I mention this because Adam Pierce, a.k.a. Mice Parade is a percussionist with a very good idea. No fear in getting thrown out of a band, he is the band. He’s chosen his allies quite well too. The voice of Meredith Goudreau (aka Gregory & The Hawk) works quite well in the songs where she appears; the harmony-inducing vocals that intertwine with the shoegaze and salsa mix that Candela pulls off nicely. It’s not all rhythm sections and math rock time signatures, mind you. ‘Listen hear glide dear’ starts with a loud shoegaze atmosphere: chunky, reverberated and quite otherworldly. Then the rug is pulled deftly and we stumble through the old streets of Veracruz. It’s carnival season and although a passing car is blasting a math rock ditty with a Goddess on lead vocals (‘Currents’), the atmosphere is certainly leading to a vivacious night out. ‘The river has a tide’ builds on a decisive drum beat that is complemented by a thick guitar chord that repeats slowly while some tapping has been added. It’s a gorgeous track, like a luscious vivid dream. ‘Pretending’ abandons the shoegaze bit and goes for a syncopated drum beat. Again, a lovely female voice does the call and response bit with Mr. Pierce. There’s a decisive Latin flavour here, never overtly placed as to distract you, more as an overdub. A very prominent one. The lazily plucked guitar in ‘The Chill House’ pushes it a bit into ambient territory, with the song soothing you. ‘Candela’ and ‘Gente interesante’ are probably the more Latin-fusion ones (love the trumpets in ‘Gente Interesante’.) It’s an interesting nouvelle cuisine dish that works as well as what Mars Volta (‘L’via L’viaquez’) and Control Machete (‘Danzón’)did and excelled at. The detour doesn’t last long. A shame, I was enjoying the ride. ‘Contessa’ is more dream pop than math rock, but quite the loving song. ‘Wam Hand in Narnia’, the closing track, does feel like a bookend to Candela‘s opener ‘Listen hear glide dear’, as if the reverb and overdrive pedals have been repo’ed by Otto and his pals. It’s weird. I grew up where tropical music (salsa, cumbia, danzón, you name it) is the music of choice in public transport and I could never get into the stuff. There’s something in the alchemy that Mice Parade has specialised on (Skill +3, Int 19) that makes it quite the vivacious type of music it should be. 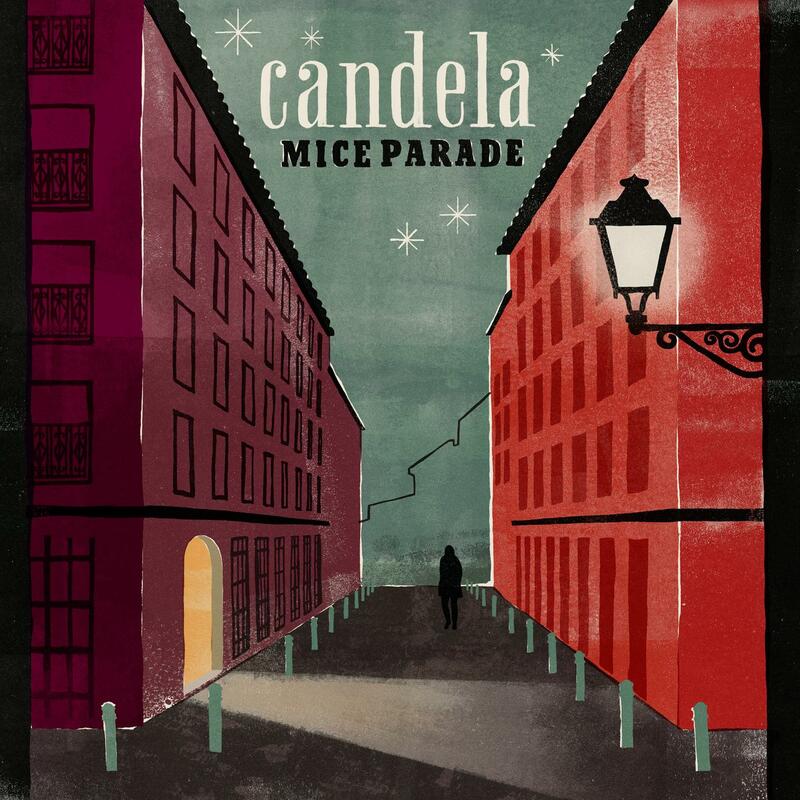 Mice Parade Myspace. Bandcamp. Facebook. Posted in Dreamy, reviewsTagged Adam Pierce, Candela, Mice ParadeBookmark the permalink.